Decompressive Laminectomy & Spinal Fusion : In this procedure, a portion of the bone or lamina imparting pressure on the nerves is removed. A surgical incision is made in the back, then part of the bone and thickened tissue pressing on the spinal nerves is removed. This allows more space for the nerves thus relieving pain and pressure. 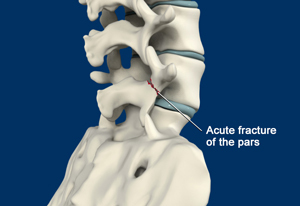 This procedure makes the spine unstable and therefore spinal fusion will be performed to stabilize the spine.